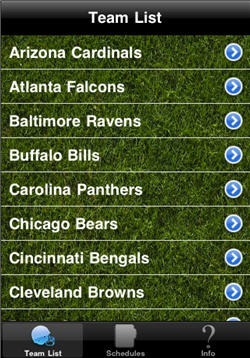 Are you looking for a way to find in game audio stream of live NFL Football on your iPhone? 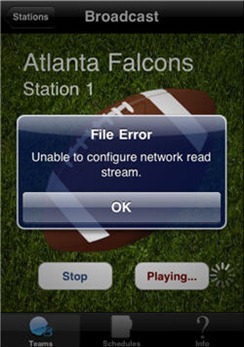 If NFL Mobile isn’t available to you, you might want to check out the Pro Football Radio 2011 app. The layout is simple and straightforward. Scroll through the list looking for your favorite team, then select one of the available feeds. I was pleasantly surprised with the app’s ability to provide the in game audio feeds and I was able to find every Sunday afternoon game with little problem. We did find some feeds that gave us an error, and other that weren’t playing the game. In one case a feed under “Philadelphia” was playing the Steelers – Jaguars game rather than Eagles – Redskins. Verizon customers will want to stick with the NFL Mobile app to get live in-game audio, but for everyone else, this is a viable alternative. Typically I prefer the free TuneIn Radio for any sports radio on iPhone or Android, but finding NFL games on TuneIn can be frustrating and time consuming, if you can find them at all. 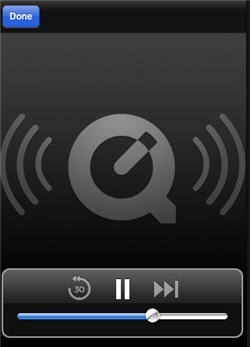 Pro Football Radio 2011 makes finding the right feed pretty quick and easy. The developer makes no guarantee that every game will be available, but during my two weekends of testing I was able to pull up every Sunday afternoon game. 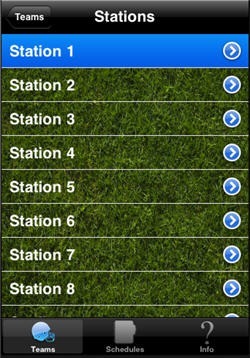 Download Pro Football Radio 2011 for iPhone from the App Store. There is also a Premium version ($1.99) that includes additional Sports Talk Radio stations.